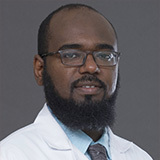 Dr. Sufyan Ahmed completed Bachelor of Medicine from University of Juba, Sudan and Membership of the Royal Colleges of Physicians of the United Kingdom (MRCP) London, UK. He has also completed several courses including Advanced Cardiovascular Life Support (ACLS), Fundamental Critical Care Support (FCCS) and Advanced Life Support in Obstetrics. 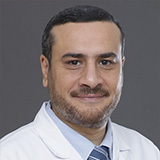 Dr. Sufyan Ahmed work experience spans for 10 years in various international hospitals in Middle East namely as a Resident Doctor of Internal Medicine and ICU in Heglig Hospital, Sudan; Resident doctor in ICU, King Khalid Hospital, Hail region, Saudi Arabia; Resident in ICU and Cardiology, Al Zahra Hospital. Sharjah and Senior Resident of Internal Medicine and ICu in King Fahad Specialist Hospital, Saudi Arabia. 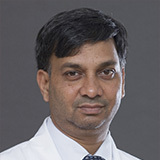 Dr. Sufyan has attended several internation conferences and workshops in field of critical care and internal medicine.